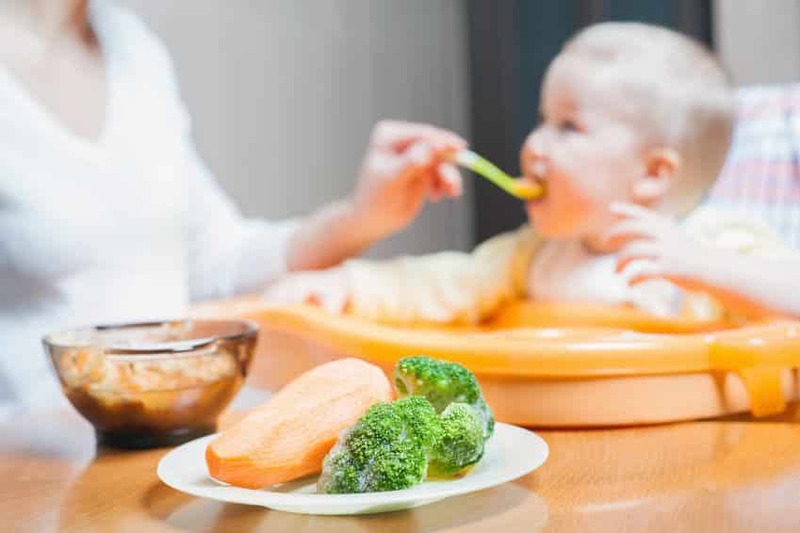 You want the best for your new baby, and that includes making sure that they get the perfect blend of healthy, nutritious food to let them grow up big and strong. That's why, as a savvy mom, you're looking for the best baby food maker so you can control exactly what goes into your little one's meals. That's a smart and admirable thing to do, and we're right behind you and in your corner. You're doing the right thing. But there's so many different makers and food processors out there. How do we know which one to choose? That's where our reviews come in. Read on to find out exactly what you need to know about baby food makers, and how to get the perfect one for you and your baby. What Makes a Great Baby Food Maker? When you're looking for a baby food maker, there's a lot of things that you need to pay attention to. These are really complicated little systems. A lot more complicated that normal makers and food processors, so it's that much harder to work out what you might need. But that's okay. Because we know all about them. So read on and find out all everything you could ever want to know about baby food makers. The first question you might be asking yourself is, why should I buy a baby food maker, and what does it do for me? After all, can't you already buy good quality baby food at the supermarket? Well, you can, but a lot of moms love the control that comes with being able to make your own food for your little ones. After all, the baby food you buy in the shops has a huge shelf life, and it's full of processed foods, preservatives and other chemicals. Whilst it's not bad for your child, obviously a batch of baby food made at home, out of wholesome, fresh veg, meat and fruits, will be so much better. When you're in control of the process, from start to finish, it's easy to make fresh, filling, healthy food that your children will love. Then there's the fact that you can add precisely what you want to every batch, play around with new recipes and make exactly what your baby loves to eat, every single time. But isn't it difficult, I can hear you asking? Well, no. Even though they're complicated pieces of kit, the smart cookies that make them know how difficult it is to be a mom, and how many things you have to pay attention to. That's why these things are made as simple and foolproof as possible. I mean, a lot of the good ones can be used start to finish with only a single hand. That's amazing convenience, and something that pretty much everything else in your kitchen doesn't even boast. Then you've got to realise that a lot of higher end baby food makers also come with a steamer function, meaning that to use them you simply add the food, turn the device on and let it do its thing, and you'll end up with a perfectly made portion of nutritious food. Sounds good, right? So now you're sold on buying a baby food maker, it's important to know what to look for. Like I've explained, there's a lot of variety in baby food makers, and the top ones are incredibly simple to use. The best of the bunch below can be turned on and ready to go in as little as one button press! Simple is key. Don't get carried away with smart sounding functions. You'll be using this a lot, and you need it to be fast and simple. If you were buying a processor for yourself, you'd splash out and get the best one you could, because you know that a little bit of extra money is going to translate into a better product that will last longer. When you're buying for baby, it's more important, because you'll probably be using this almost every day. If it breaks, that means that you can't feed your child without having to head out and buy some shop bought food. And that's a situation none of us want to be in. How Efficient and Well Made Is It? A better baby food maker will have more powerful motors and higher quality steel blades. This means that your blender will stay sharper longer, chop through food more efficiently so the end result is more consistent and much easier to eat, and it's much less likely to go wrong as there's less strain on the machine. Again, recognisable brands tend to be better made, which means they're going to last longer and do a better job. The baby food market is a competitive one, and it's always expanding, so all of the big brands will want a piece of it. It's definitely something to look out for. We would never recommend anything that isn't safe for your baby, so when we ask how safe it is, we're not saying it will be unsafe for your baby. Instead, look at things like blade locks, bowl seals, and smart little touches like date markers, so you know when the food was made. How Much Food Can You Prepare at a Time? Pretty much all infant food makers measure food in cups, with one cup of food pre-blending making around 3 or 4 servings. Now, you might not want to make more than a half dozen servings at a time, in which case a two cup maker will be fine, but it's worth sitting back and working out how often your little one feeds and how much they tend to eat at a time. How Easy Is It to Take with You or Store? Most of these baby food makers are pretty portable, but you're probably not going to take it with you unless you're going away on holiday. Instead, look at what comes with your new baby food maker. Does it come with storage containers or cups, or maybe you have to buy them separately? Because you're going to be using this a lot, you'll appreciate something that's simple to clean out. The top models are dishwasher safe, so you can throw it into the dishwasher with everything else and relax, knowing that it's all fine and dandy. Again, expect to be using it a lot. Whilst most things like this are built to last, accidents happen, and things break. If it does, you're going to want the security that a good warranty gives you. There's a lot of things that you can have here. Extra storage containers. Ladles, spoons and spatula, recipe books, extra cups. It all adds up, and everything you get here is something you won't have to buy in the future. At the end of the day, a good baby food maker is basically a machine that works as both a steamer and a blender. Think of what you'd look for if you were buying those for yourself, and you'll be fine. If you want to feel like a professional chef when you're whipping up batches of baby food, then we recommend BEABA's Babycook. In my opinion, it's the best baby food maker on the market. For a start, it's designed to be used completely with one hand, from adjusting the timer and starting it up, to even opening it up so you can put whatever you're cooking inside! It's got a really generous capacity of over 4 cups, or 18 servings of food, and once you've started it up the patented steamer will cook anything in less than 15 minutes, including meat like chicken. Once it's done, the alarm will ping and let you know so you can go and sort it, but just in case you're too busy, the auto shut off will make sure that nothing bad can happen. The bowls are dishwasher safe, with graduated measurements and two safety locks. There's space for the spatula to fit, and it comes with its own recipe book, but I'm sure that after just a couple of goes with this, you'll be confident enough to start throwing your own personal flair into your recipes. When you look at everything this offers, it's obvious that BEABA know what they're doing. I mean, they invented the first baby food maker, so it's fair to say they wrote the book. Made by the guys and girls at Magic Bullet, who make some of the top food processors on the market, you know that this baby bullet is powerful and efficient. And it is. It's excellent, with strong, powerful blades that whip anything you place inside into a clean, easy to eat, tasty purée. It's got a huge 8 cup capacity, and the 6 included storage cups mean that you can easily store everything that you've made. I was actually really impressed with the storage cups, too. They've got a really smart design choice; a little clicky dial on the lid that you can rotate to the date you made it, so you always know exactly when your last batch was made and how fresh it'll be, so no more wondering if something is safe to eat and throwing it out to be on the safe side. 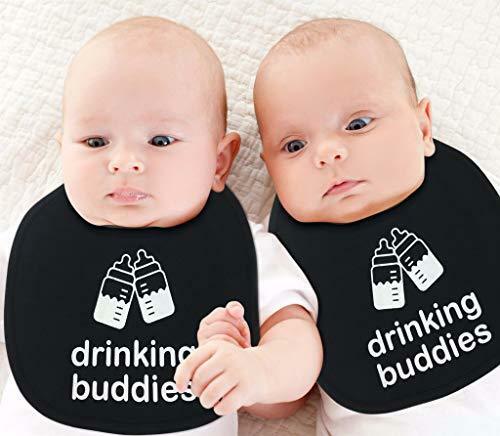 It's made of high quality material, and it's completely safe for baby. In case anything does go wrong, then there's a 1 year warranty as well, so you can get this repaired or replaced. There is a downside, though. And it's quite a big one. This is only a blender. It's not a steamer. You're going to have to steam all of your food separately. But if you can deal with that, this is pretty much the best food processor for baby food on the market. The easiest baby food maker I've seen, this can be used with a single hand. It's so simple. Fill it with the food of your choice, set the steamer time with the handy dial, then let it do its thing. That's it! That's all you need to do, which makes it absolutely perfect for busy moms, especially when one arm is taken holding a child! It's just as easy to clean, too, considering that you can just throw every part that touches food into the dishwasher. Plus it's made of safe plastics, and it's completely BPA and phthalate free. Another downside is the small capacity. This can only really hold about two cups of food at a time, which makes it badly suited for small batches. But then, when it's as simple as this to use, that's not as big a problem as you might expect, especially if you're a mom that prefers to make a new batch of fresh food every day. If you want easy to use, set and forget blending and steaming power, this is a brilliant little baby food maker. Just bear in mind the downsides and you'll be fine. Cuisinart make some of the top kitchen products around, so when you're looking at a baby food maker, this should be a no brainer, right? Yes. Yes it is. The only real problem there is with this is that sometimes it breaks, but that's a problem that you're going to face with every baby food maker, not only this one, so you can't really deduct points for that. It's got a nice 4 cup food capacity, with strong blades that blend smooth. There's also a second blade that works to evenly distribute steam, so whatever you're cooking is cooked thoroughly and properly. Cuisinart's patent pending blade lock keeps you safe as you're using this, too, so you can be guaranteed that there's going to be no unfortunate accidents, even if you're distracted. It comes with a whole kit. Spatula, bottle adapter ring, comprehensive instruction and recipe book, and a measuring cup, plus an 18 month warranty, which is huge. There aren't any containers for the prepared food, though, so be ready to grab some of those when you're done. Once you've finished with your baby food maker and you're prepared a Michelin starred meal for your little one, you need somewhere to keep it. A lot of our products come with storage containers, but they can be bulky, unnecessarily large, and hard to have more than half a dozen at a time. That's where this amazing piece of kit comes in. All you do is pour whatever you've made, whether that's soup, smoothies, or just blended veg, into the top funnel, then use the included plunger to push it into the included pouches. Then you just seal the pouch and throw it in the fridge or a cooler bag, and it's ready to go. It's so easy to use, and replacement pouches are cheap and easy to find. It's an essential part of any prepared mother's toolkit, and considering that it's so reasonably priced, it's hard to say no. 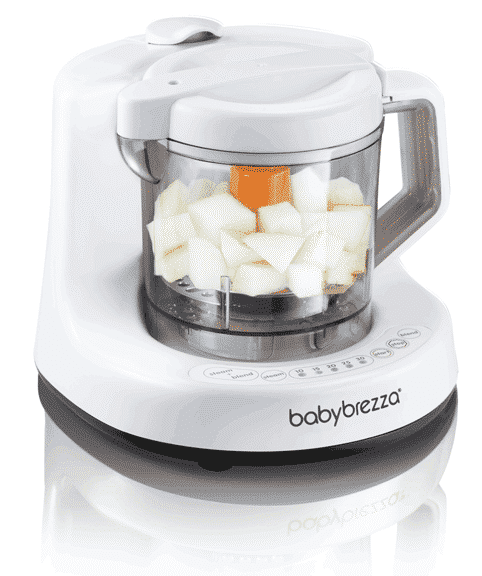 You've come to the end of our best baby food maker write up. Is there anything we've missed, or maybe you've had a good experience with any of the above blenders and food processors. If you've got anything to add, or even just a question, feel free to comment below!